If your desire is to work for an airline or to fly corporate airplanes, a multiengine rating is a necessity. Fewer and fewer flight schools offer multiengine flight training, and those that do rarely offer training in such a capable airplane. 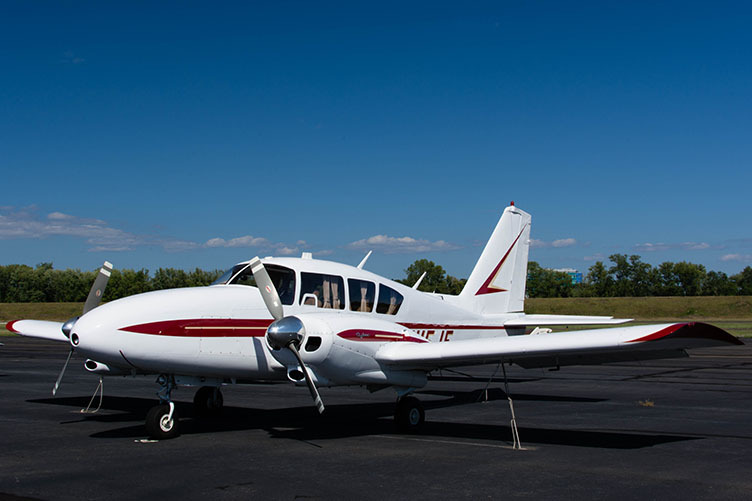 At Premier Flight Center, you’ll train in a well-maintained Piper Aztec, a high performance, 250 horsepower, 6-seat twin engine airplane that is nicely equipped for IFR flight. Employers will like the fact that you have multiengine experience, especially when it comes from a school known for its high quality training. If you do not aspire to a career in professional aviation, remember that many hobbyist pilots fly multiengine airplanes for the greater range and cargo capabilities as well as the security of flying with a second engine. Consider a multiengine rating add-on which will expand your skillset and satisfies the FAA’s flight review requirement. (1) Must have a logbook or training record endorsement from an authorized instructor attesting that the person was found competent in the appropriate aeronautical knowledge areas and proficient in the appropriate areas of operation. (2) Must pass the practical test (checkride). (3) Need not meet the specified training time requirements prescribed by this part that apply to the pilot certificate for the aircraft class rating sought; unless, the person only holds a lighter-than-air category rating with a balloon class rating and is seeking an airship class rating, then that person must receive the specified training time requirements and possess the appropriate aeronautical experience. (4) Need not take an additional knowledge test, provided the applicant holds an airplane, rotorcraft, powered-lift, weight-shift-control aircraft, powered parachute, or airship rating at that pilot certificate level.